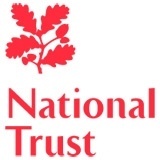 There is an interesting article in MarketingWeek about the reconstruction of the market organisation of National Trust. Read the article here . There are two details in the article I find most interesting. The first is the definition of the marketing organisation as an “internal agency” structure. The unit will be responsibility for brand, insight, marketing, external communications and commercial activities. My experience is that a lot of organisations keep only the strategic and core roles in-house and buy the rest from different agencies. This makes sense based on the cost of doing this in-house and because of the speed of development in many of these areas. To use someone that has contact with many different customers and market segments often brings a new and interesting approach to the problem – and of course the result. The other detail is the fact that they split the responsibility for the customers into two roles, the Brand and Marketing director and the Director of Supporter Development. The latter with the responsibility for membership, fundraising and supporter recruitment and retention. So one will be responsible for bringing the customer in and the other for keeping them. Except for the supporters, who will be recruited through the Director of Supporter Development. Both directors with a high stake in branding and communication to current and potential members and supporters. To me this seems to be a potential conflict if the two directors don’t work well together. And there will be some strategic disagreements. Whos should have the main responsibility for the CRM system? I know of one Norwegian organization with a similar approach. Norwegian Automobile Federation (NAF) is the largest automobile organization in Scandinavia and has a split in marketing and membership responsibility. Does anyone know about other organizations that organizes themselves as these two? This entry was posted in organising and tagged Branding, CRM, Marketing. Bookmark the permalink.